Down to the last three Mondays of this election cycle. And that means this will be our third-to-last Candidate Facebook Weekend recap posts of this political season. Congressman Aaron Schock was getting some sun down in Miami and hanging on South Beach. 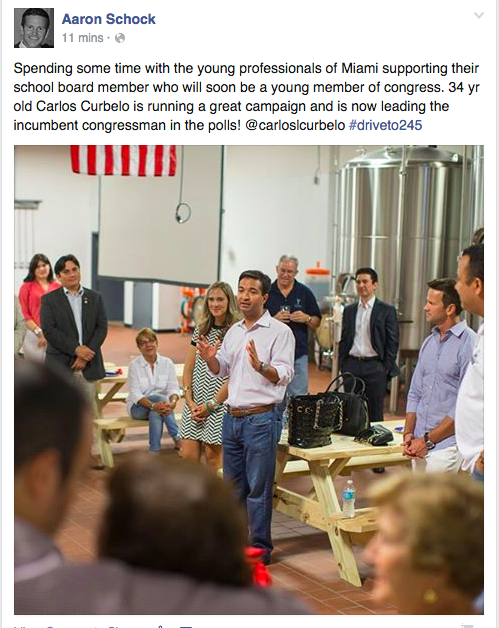 On...and he was there to support Carlos Curbelo - a candidate for Congress, too! 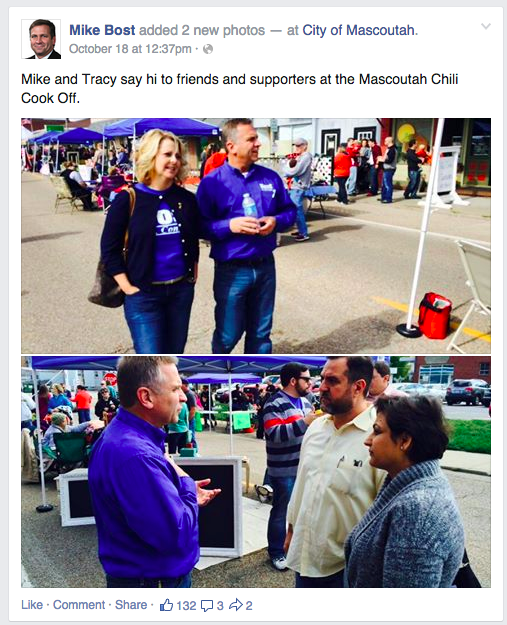 Mike Bost tore into the chili at the Mascoutah Chili cook off. He was all over the place this weekend and he's pushing ahead in the race. Keep it up, Mike! 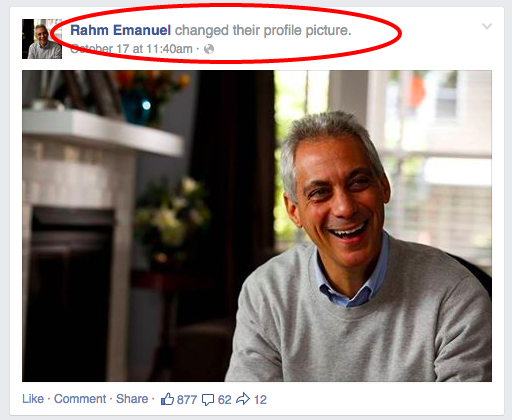 With the 'threat level' reduced to almost zero, Da Mare had time to fix up his Facebook profile over the weekend. 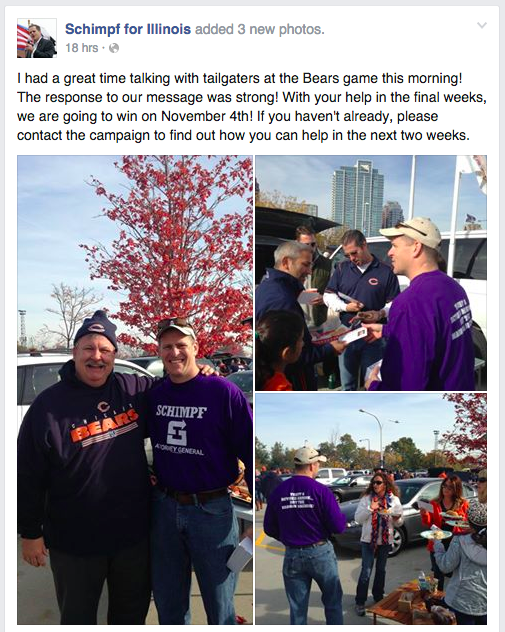 Illinois Attorney General Candidate Paul Schimpf was doing some retail politic'ing at the Bears tailgate at Soldier Field where he met voters and spread his message. 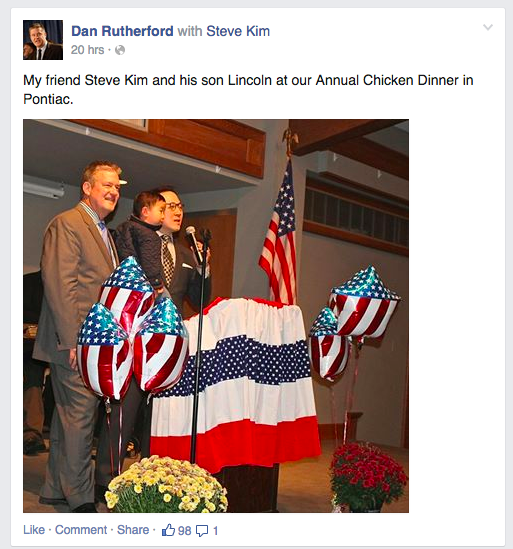 Current Treasurer and former Governor's candidate Dan Rutherford was out raising money and rallied with is running mate Steve Kim at his annual fundraiser.